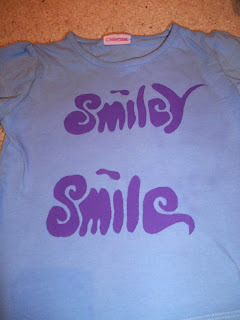 More t-shirts! Same idea, same process. 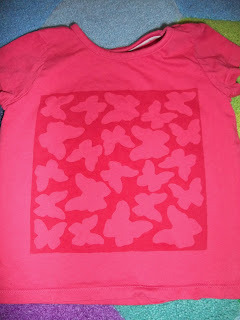 You might recognise these butterflies from Cerys' curtains. 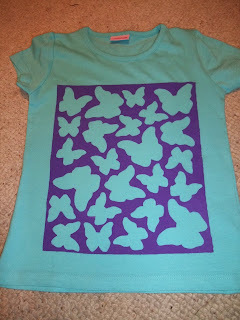 The thing with stencilling 262 butterflies is that I now have a lot of butterfly cut-outs! The make pretty good t-shirts though, and the Bean loves them. Similarly I had the negative image from this t-shirt, so I thought I'd just use it for Bug. 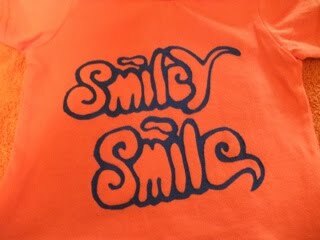 If you would like a t-shirt or indeed anything stencilled in a similar manner send me a mail at alice@beanpi.co.uk and I'll let you know if I can do it.